Business description - Innovana Thinklabs is engaged in software and application development business which directly provide services to retail user. The company designs, develops and maintains software systems and solutions, creates new applications and enhances the functionality of its customers’ existing software products. The company’s product portfolio consists of application and software such as Adblocker, disk cleanup, space reviver, file opener and privacy protector etc. It has developed number of products and these products have registered their presence and popularity in 13 different languages and over 126 countries. The operations of the company are controlled from its registered office situated at Jaipur, Rajasthan. 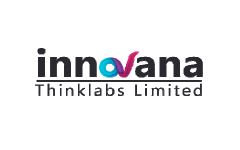 Innovana Thinklabs IPO allotment status is now available on Skyline Financial Services' website. Click on this link to get allotment status.